Workers get ready for site preparation for the new building coming for the Livingston Actvity Center in Walker. A groundbreaking ceremony to celebrate the building will be at 10:30 a.m. Wednesday, April 17. The Livingston Actvity Center in Walker will hold a groundbreaking ceremony for its new building at 10:30 a.m. Wednesday, April 17. 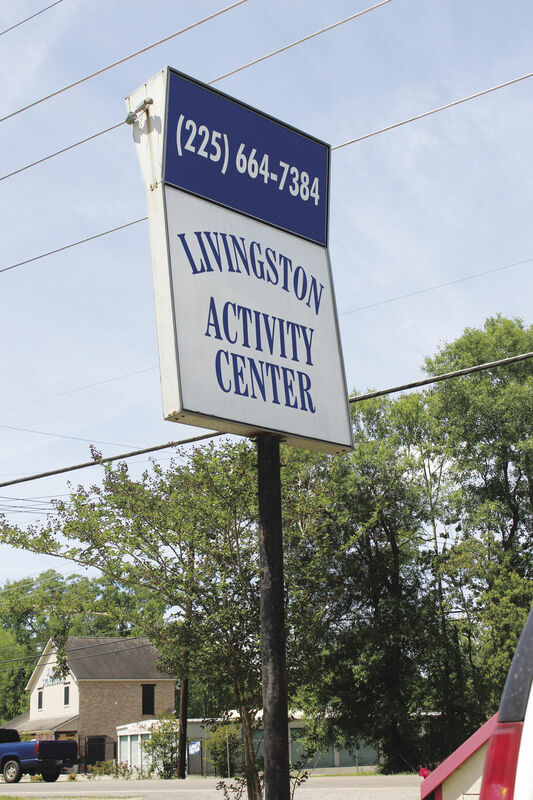 WALKER – Serving more clients and expanding services are the plans for the new Livingston Activity Center building, its director said. A groundbreaking for the building is scheduled for 10:30 a.m. Wednesday, April 17, at the center at 10494 Florida Blvd., Walker. “We’ve very excited to see our new building coming,” said Linda Watts, center director. The non-profit center works with adults with disabilities through a day program and vocational program. “We’ve been working on this building for years, since before I was here,” said Watt, who began in 2000. Blount Construction will be building the 5,000-square-foot building with a tentative completion date of January 2020, weather permitting, she said. Two buildings on the tract were torn down to make way for the new building, Watts said. They were given to the center by the then-Police Jury in the 1980’s. The building the center works in now dates back to the 1960s, she said. “We’ve done lots of renovations and add-ons,” Watts said. The woodshop in the back of that building will remain there, while the building will be used for storage. “Our clients are excited. They watched the demolition of the two buildings, and they know a new building is coming,” Watts said. Watts said she missed the first building being demolished because she had to drive a route. When she got back, she went to work in her office and missed the second one coming down. The center recently added a Facebook social media page, Livngston Activity Center, will be posting updates as the construction begins. Other activities and news about the center also will be posted. The city of Walker is building a super expensive new city hall on a super duper expensive piece of property in Walker and the Livingston activity center is building a new center as well. Seems as though government pockets are overflowing these days... Where are the tax breaks for us common folk? I personally thought both the current city hall building and the current Livingston activity center building looked perfectly fine.